Sewing pattern is relatively the most accepted part of the fashion industry as without this the industry of fashion designing is incomplete. And most important is the pattern cutting machine, where the tailor needs to measure the figure and then cut the fabric after putting an outline marked to it. It is the process of developing pattern for many styles and that can be created. This is called as a sloper or the home sewing that is mostly used in the fashion industry. This frequently employs a variety of pattern creation methods. This process of drafting is mostly seen in to men’s wear and this sloper is made with light weight cardboard or tag board. These are fitted to provide a stiff cuff lining to the dresses like Sherwani’s, Kurtas and professional shirts. This pattern making utilizes various tools like that of notcher, drill and awl. And when it comes to pattern draping it involves creating muslin mock – up pattern by pinning fabric directly on a dress form, and then transferring the muslin out line and marking onto a paper pattern. To select the right size for the person who will be wearing the garment: it’s quite important to have a dress that should b perfectly fitting to our body and for that it is necessary to have a perfect measurement of the body. Watch out for a multi- sized pattern: it means the size should be of a wide range and they should be marked from where to be cut. Leave space for alterations: it is a common part as to make it perfect for making the wearing easy. But this is not included for the stretchable garments as they are already into the finished measurements. Reading the pattern: it is significant as it will allow the tailor to understand the measurements perfectly and work on it. 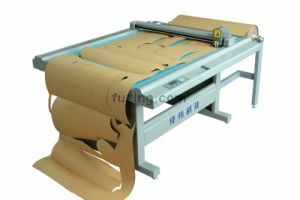 These are certain basics that are included as a part of pattern cutting machine. The most significant advantage of this is it provides a compulsion into fitting of the clothes for the client and puts the design into more comfortable approach for the client. This is even the best process to make the outfit as first cutting pattern will make it easy to stitch further. GET IN LOVE WITH THE EAR CUFFS! I need a pattern cutting machine. Th machine should cut paper pattern. 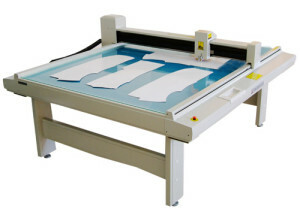 Sir I need a pattern cutting machine which can cut any kind of pattern . I will be waiting for your response..